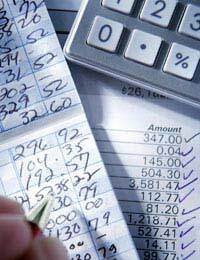 Home > Accounting & Reporting > Do My Accounts Need to Be Audited? Charities have a series of important legal obligations when it comes to the preparation and filing of their accounts. Charitable organisations must provide the Charity Commission and, by extension, the public, with accurate information. There is a number of ways in which the accuracy of this information is judged; auditing is one of these ways. It is important that you understand whether or not your charity is obliged to submit its accounts for audit. Audits are the primary means by which the accuracy and reliability of a charity’s accounts are determined. They are a vital tool, used by the Charity Commission to help ensure that the information provided in accounts and the Annual Return is valid and reliable, and that there are no miscalculations. The auditing process provides the Charity Commission (and, by extension, the public) with the opportunity to subject charities’ accounts to extra scrutiny. This is important because it helps to guarantee that charitable organisations are being run properly, in accordance with the law and financial best practice. As a result, the public can be satisfied that these organisations are above board – and that any money they donate will be treated properly. There are two situations in which a charity’s accounts might have to be audited. The first is a statutory responsibility. This means that the charity is required by law to have its accounts subjected to audit. With the exception of NHS charities, all charities with a gross annual income exceeding £10,000 are obliged to have their accounts either audited or ‘independently examined’. Generally, charities with a gross income of more than £500,000 must submit their accounts for auditing, while those with incomes between £10,000 and £500,000 can use the independent examination procedure – a less onerous method of investigation. It should also be noted that this £500,000 threshold is reduced to £100,000 for charities with gross assets that exceed £2.8 million. The second situation in which an audit might be required arises when the charity’s governing documents demand that this process be carried out. Many charities’ governing documents include a requirement for accounts to be audited regardless of income or assets, and these demands must also be adhered to – even if there is no other statutory requirement. How do I get audited? Audits must be carried out by a registered auditor. Many charities presume that their accountant will be able to perform this duty, but it is important to remember that not all accountants are registered auditors. The audit should be conducted according to the auditing standards published by the Auditing Practices Board. Audits are an important legal obligation for many charities. But aside from the legal requirement, they provide your organisation with a valuable opportunity to take stock of its financial performance, and to identify potential improvements. If you are confused as to whether or not your accounts must be audited, you should seek advice from your accountant. Remember, though, that this individual may not be a registered auditor – so you may have to look elsewhere in the event that an audit is required.